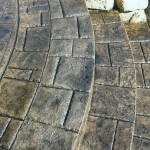 Decorative concrete patios and decorative concrete sidewalks are becoming more popular for our customers who are looking for something out of the ordinary. 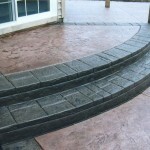 There are many colors, patterns and designs to choose from. 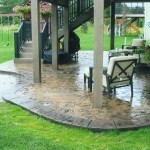 Options include exposed aggregate, staining and stamping. 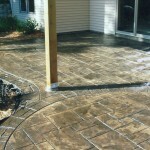 A poured concrete driveway is durable and is easy to clear of snow. 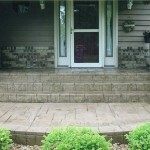 Adding color and texture only adds to the curb appeal of your project. 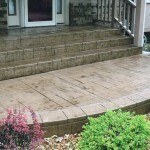 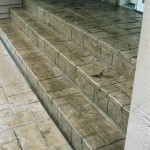 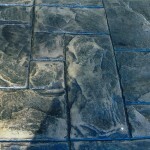 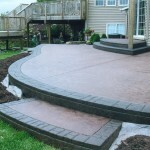 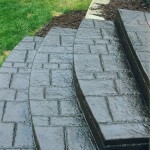 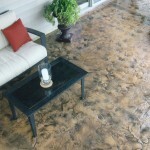 Stamped concrete is a pattern that is imprinted into the concrete when still wet. 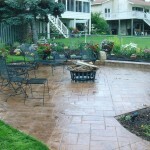 This is an outline and texture of brick, cobblestone, and other natural paving patterns. 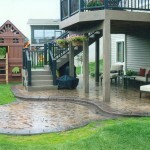 Antiquing can be added to make it look more realistic. 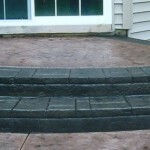 Adding color to concrete is an easy way to set your patio, sidewalk, or driveway apart. 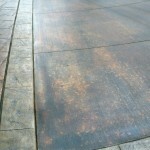 Integral color is added to the concrete ready-mix to provide a tint throughout the slab. 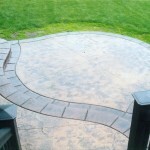 Integral colors have a flat, opaque look to them. 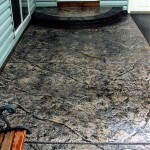 Using this method the concrete comes out of the truck the color of your choice. 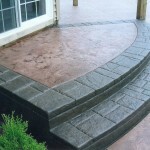 We also have color hardeners, commonly used on borders. 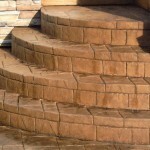 They come in vibrant colors, to add some contrast to your driveway, sidewalk, or patio. 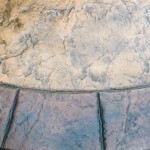 One advantage of using integral colors is if it chips, it’s much less noticeable than if a color hardener is used. 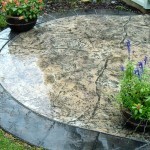 Antiquing is another method used to make the concrete have an old, polished look. 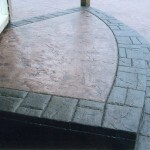 Chisel lines can be added to enhance the texture of your decorative concrete . 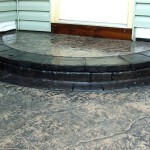 This is to replicate the look of natural stones. 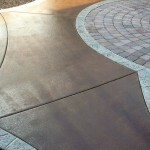 Using a color sealant on this protects against the color fading. 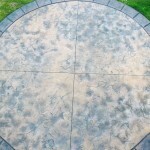 Concrete scoring is where shallow cuts are made into the concrete to give the appearance of grout lines, or to create geometric designs and patterns. 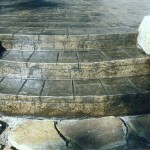 Exposed Aggregate is where the concrete is poured, than brushing or washing off the top layer. 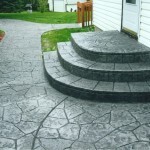 This creates a rugged, non-slip surface. 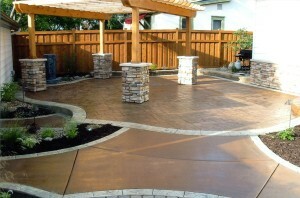 A high gloss sealer adds shine and brings out the naturally pleasing earth-tones of the embedded aggregate. 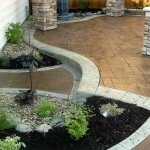 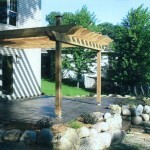 With these types of options available, it is very easy to add character to your home and yard. 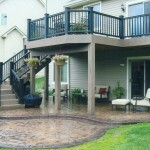 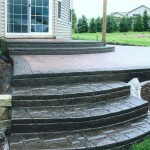 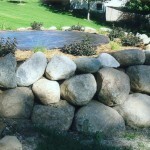 Driveway Repair Inc. is a Minnesota licensed contractor.